Halloween is quickly approaching, which means treats are being purchased and tricks are being prepared. Along with pranks, tricks, and scary costumes come potential insurance claims. 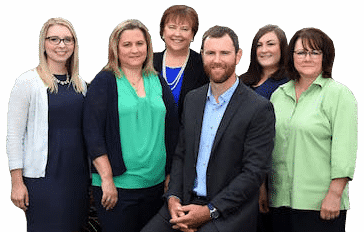 The McClain Insurance team wants to remind you how to celebrate safely this All Hallows Eve. Carving pumpkins is one of our favorite Halloween past times. 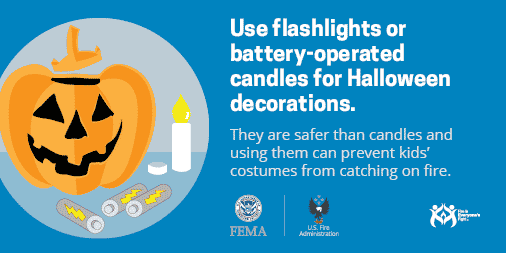 This year, rather than lighting wax candles, err on the side of caution and use LED candles in your jack-o-lanterns. LED candles will give your pumpkin the same spooky glow without the fire risk. If you do use real candles, make sure you scrape pumpkins out all the way before carving them. Excess pumpkin debris is more prone to catching fire. When lighting pumpkins, use a long-stemmed lighter or match to keep the flame farther away from your fingers and sleeve. Most importantly, NEVER leave burning candles unattended. Whenever you light your jack-o-lantern for trick-or-treaters, stay outside to monitor them. Blow them out before returning inside. Halloween is a prime time for residential burglaries and other mischiefs. Protect your home by installing a home security system and motion detector lights. (Bonus: most homeowners insurance companies offer discounts for alarm systems!) Keep hiding spots at bay by trimming bushes and trees, especially around windows. If you are planning to be away from home, consider leaving a light and/or TV on inside your home, and alert your neighbors to keep an eye out for unusual activity. Make sure walkways, driveways, and steps are clear and well-lit. This includes clearing them of any debris or hazardous conditions, like fallen leaves. Doing this may prevent a slip and fall accident from occurring and will help ensure trick-or-treaters have a safe, clear path to your door. Keep pets inside or on a leash. Even the friendliest pets may get scared or feel threatened if the doorbell rings too many times. Keeping pets inside or on a leash may help to avoid a dog bite claim. Remember: Dog bites are a red flag for most insurance companies and can have ugly consequences. Obey posted speed limits. 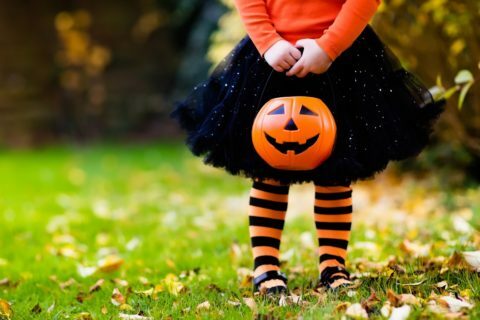 The majority of Halloween claims involve auto/pedestrian accidents, and on average, twice as many children are killed while walking on Halloween. There are many pedestrians walking the streets at night, so please warn family members to be cautious when driving. If you are a trick-or-treater, try to walk on sidewalks instead of walking on the street, and visit a well-lit neighborhood. Party responsibly. If you hold a Halloween gathering, be a responsible party host. Offer a variety of food and non-alcoholic beverages, and don’t let intoxicated guests drive. If an impaired guest is involved in an accident on their way home, you could be held partially responsible. Do a Halloween decoration safety test. Electronic Halloween decorations often require extension cords, which could potentially be a trip and fall hazard. Try to keep these away from walkways. if you are using a fog machine, beware that using it makes it hard for visitors to see. 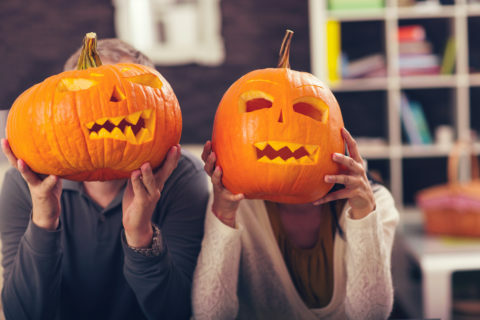 As your family prepares to celebrate Halloween, insurance is probably the farthest thing from your mind. But, now is a great time to take a few minutes to review your insurance plan and ensure your family is protected from all of life’s scary surprises. Jeff, a parent volunteer at his son’s school, was driving a group of eight kids in his minivan to trick-or-treat in a neighborhood with safe sidewalks and bright streetlights. John, a fellow volunteer parent, decided to ride along and lend a hand as a trusted adult. Also on the road was Richard, a local small business owner, who had prescription drugs in his system. He regularly drove while using his medication, against the advice of his physician and pharmacist. Right after Jeff parked the minivan and the group was exiting the vehicle, Richard lost control on a turn and crashed into them. He proceeded to drive through a barrier, fleeing the scene and was later arrested at home. Tragically, a 10-year-old child was killed. Jeff and two other children were seriously hurt with multiple injuries that required extended hospital stays and a wide range of long-term therapies, both physical and psychological. Richard was only carrying state minimums thinking that was enough, but coverage for medical bills of this magnitude was exhausted quickly. Because Jeff had a personal umbrella policy with a $1 million excess Uninsured Motorist/Underinsured Motorist Liability limit, it covered the gap left by the underlying policies to take care of his medical bills and those of his passengers. Don’t be haunted by coverage gaps. 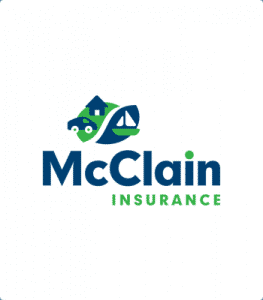 Contact McClain Insurance today for a free review of your insurance plan. Get the process started by clicking here, or by calling us at (425) 379-9200. Happy Halloween!